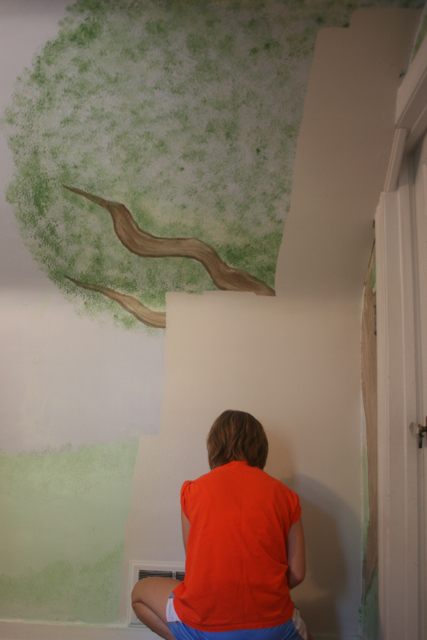 When I was pregnant with my firstborn, my mister and I painted what would become the nursery. I clearly remember saying to him “It is going to be so weird having another person in the house with us.” This makes me chuckle because we then had four babies in five years. I was in a lactating coma for six years. We were a 2-crib family for 4 years. We have not been alone in our house since 1999. Sleep was not my friend during pregnancies. Every time that I would battle the sleep monsters, I would just get up and get busy. 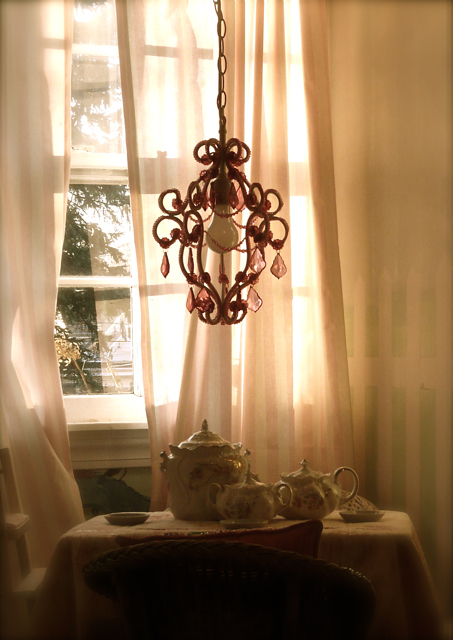 My mister would often wake up to find entire rooms rearranged or a tree painted on the nursery wall or seven blackberry pies baked. This summer, we are having a big ole bedroom switch-a-roo. Our boys are taking over the nursery and our girls are doing “big girl bedroom” makeovers. I am looking forward to sharing their bedroom makeovers with you. But, right now I am sentimental. I can’t believe how quickly the “nursery” stage went. It has been a blink. I can’t believe that we don’t have a baby in the house. Not even a toddler. 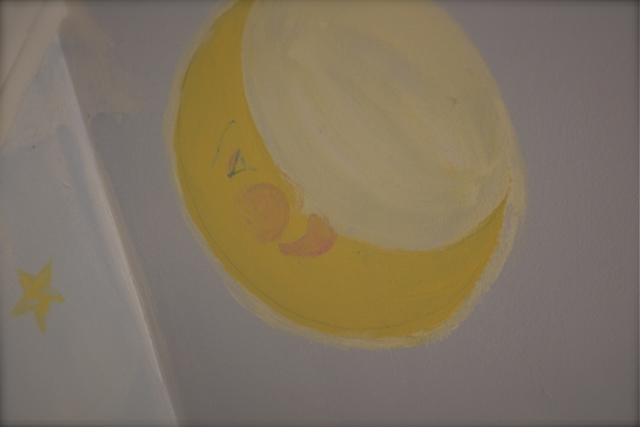 The day before my firstborn turned 13…we painted over the nursery. 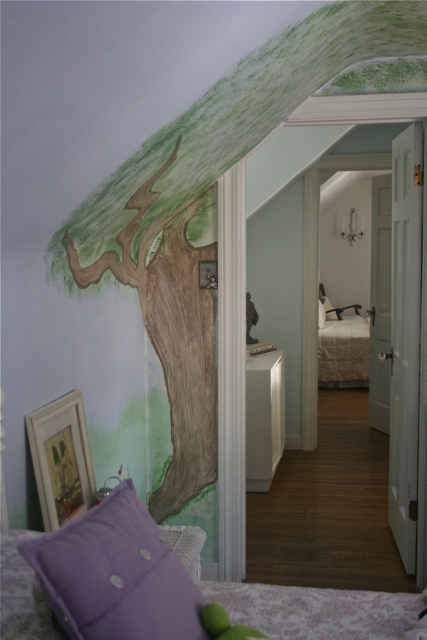 Yup, Painted over the tree…the picket fence…the moon…the butterfly…and Peter Rabbit. She knew that I didn’t have it in me. She showed up, made me a drink and told me to look away. When you choose your friends, choose wisely. Choose friends who will paint over your nursery. Choose friends who will know that gin is needed. Choose friends who will do it quickly…like when you take a band-aid off your kiddo lickity-split. Just do it before a second thought creeps in. Choose friends who will make you laugh about the tacky glow in the dark stars on the nursery ceiling. 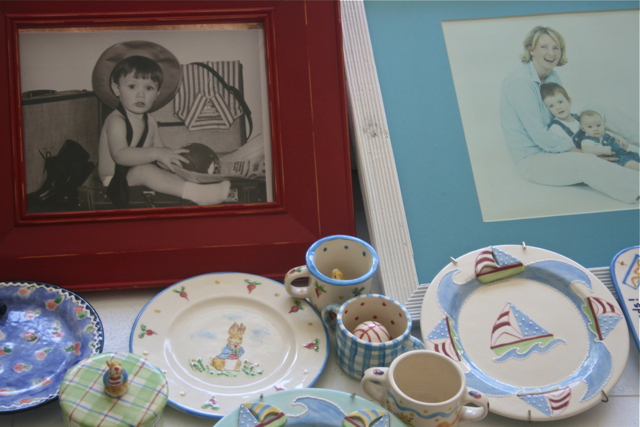 Once the room was painted and I started to put the room back together, I realized that I had to also say “goodbye” to many of the nursery accessories. 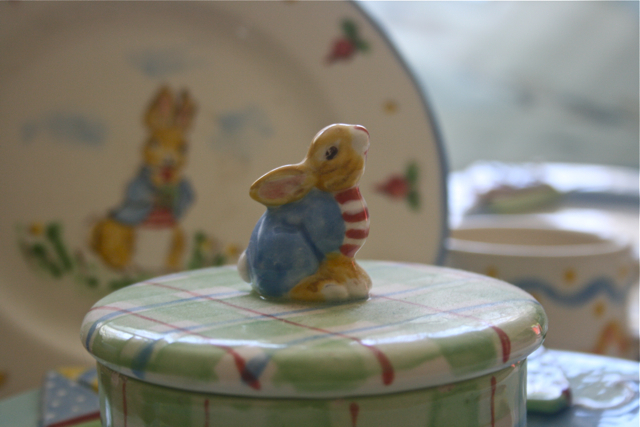 No matter how I begged, my 13 year old did not want a Peter Rabbit dish in his new teenager-y room. Nor, does he want me to blow raspberries on his belly anymore. This is the boy that went through 4 copies of Goodnight Moon. “Again! Again!” he would squeal. I thought of this as I said “goodbye, nursery” again and again.